These highly secure window systems meet the ‘Secured by Design’ standard and are inherently strong, lightweight, and sustainable. Our versatile and very secure aluminium door systems, offering you a durable product with excellent performance. Providing large expanses of glazing to allow for more light, while maintaining excellent thermal performance and weather tightness. Our high performance bi-fold doors are very adaptable, offering narrow frame profiles in a range of configurations. Our curtain walling systems are designed to be as flexible as possible, without compromising on excellent performance. Our range of ground floor treatment systems is ideal for buildings where low rise framing is required. Superglazed Ltd was established in 1997 as a fabricator of high-quality aluminium windows and doors. 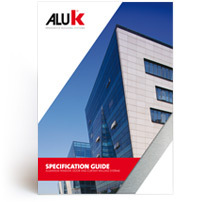 The company uses award-winning AluK profiles and ancillaries, hardware, which are known for their excellent performance and security. We pride ourselves on our quality of service as well as the products we offer. This means you can have total peace of mind knowing that we have the infrastructure, investment, and support to supply you with all of your aluminium products to current regulation for domestic and commercial use. Take a look through our website for products we offer and BSI certification.